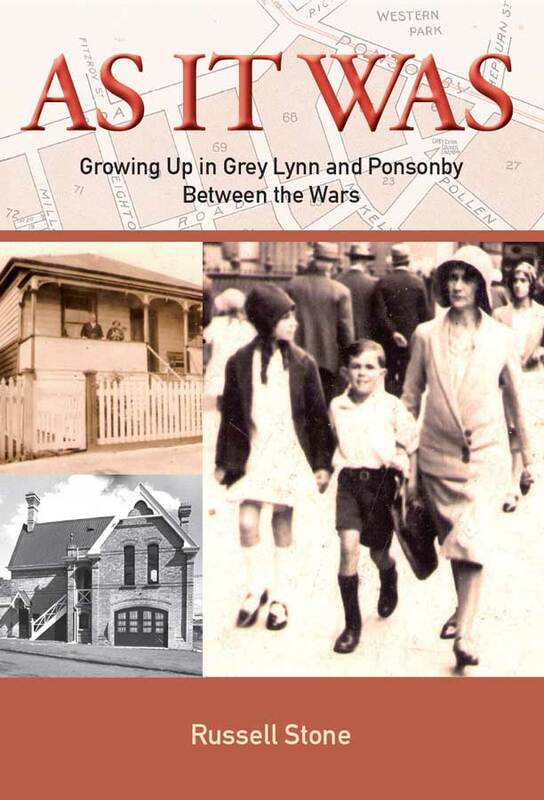 A fascinating look at two of Auckland’s most popular suburbs as they were in the 1920s and 1930s. When Russell Stone was born in 1923 life was simpler and relatively uncomplicated. But it was also harsher, with much hard physical labour for men and women alike. The memory of the Great War was still raw. And although the attitudes and practices of our colonial past were still to be seen on every hand, Auckland, just like New Zealand as a whole, was already passing over the threshold towards something quite different. Rod Vaughan is one of our best known and popular TV personalities. His confrontation with Bob Jones is one of NZ TV’s most memorable moments. 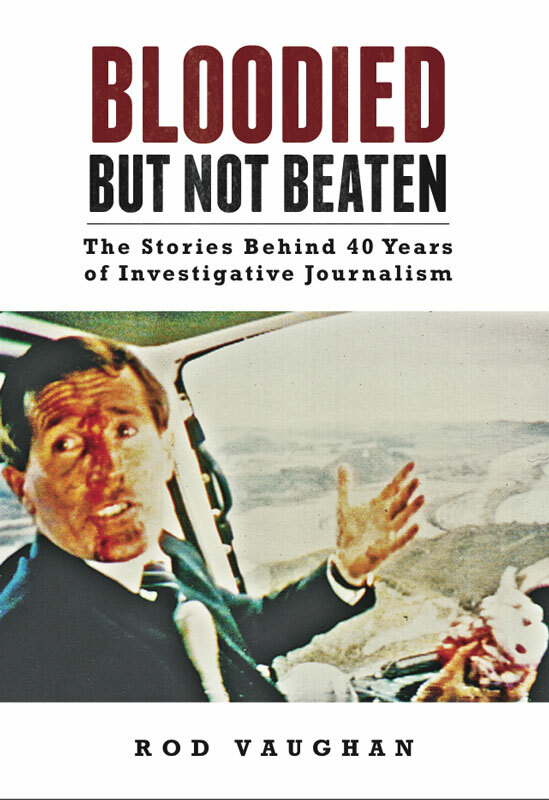 From Pakistan and Colorado to Aramoana and Mururoa he provides fascinating behind-the-scene revelations about the world of investigative journalism and some of New Zealand’s biggest stories. 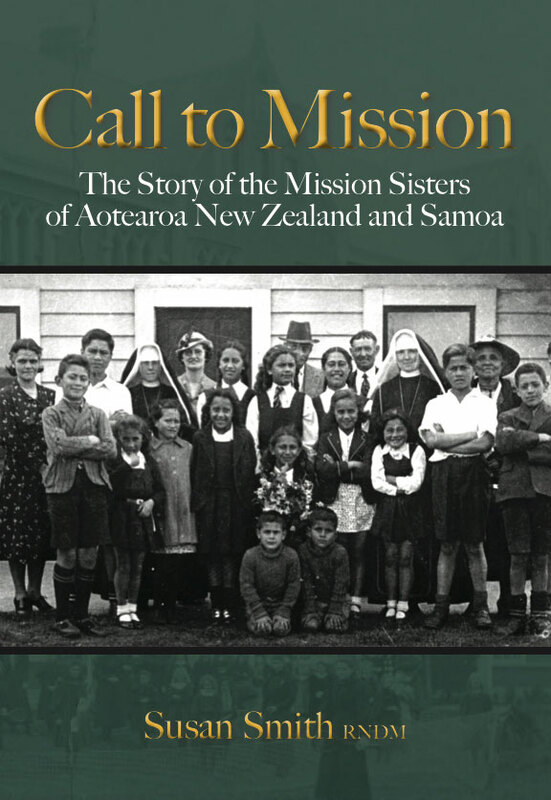 The first four Mission Sisters journeyed from France to Napier, New Zealand, in 1865. One hundred years later, there were more than three hundred Sisters living and working in New Zealand and elsewhere. This book looks at the often-overlooked important contribution that women, particularly Catholic Sisters, have made to the life of the Church. 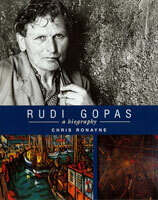 The life of this iconic New Zealand artist and the influence he had on those he worked with and those he taught. 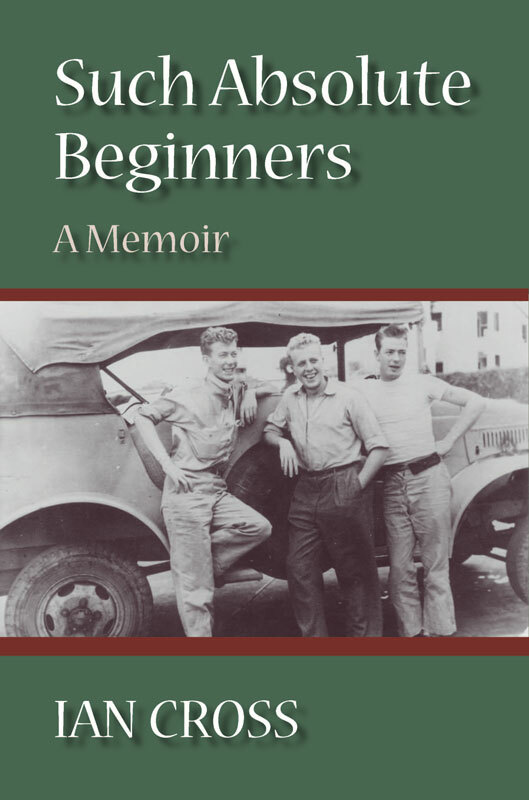 In this groundbreaking study, military historian Peter Cooke follows the young men through the process of being given a number, called up and regimented. Along with over 600 photographs, the voices of over 830 trainees are heard as they fill out Labour Department forms, try for a postponement and shuffle into barracks. 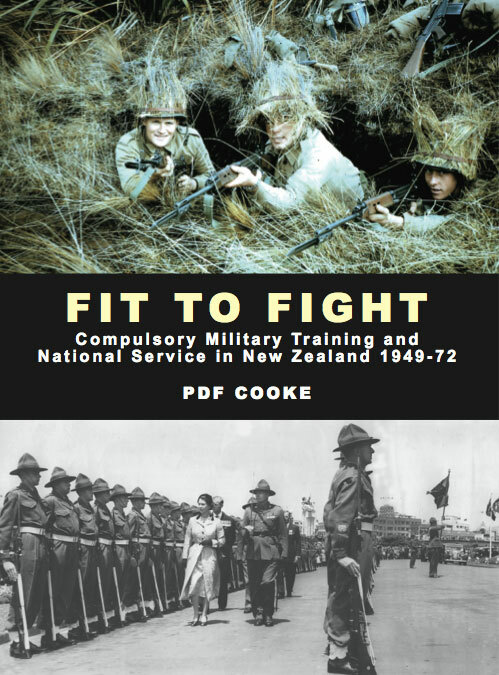 In almost a quarter century, around 100,000 young New Zealand men were trained in CMT and National Service. 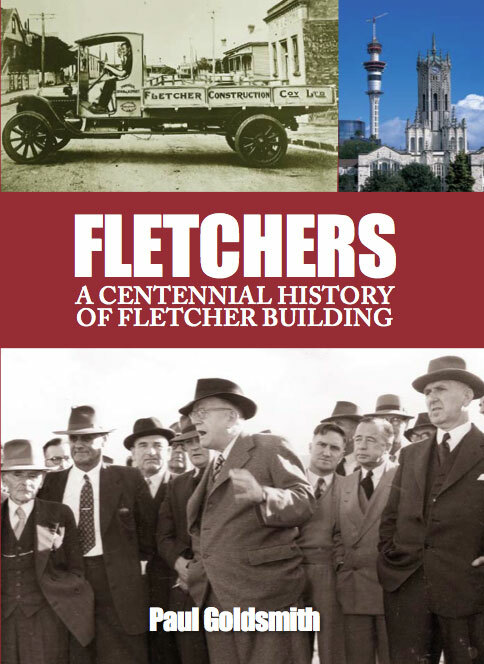 This centennial history sets the company’s history in the broadest political and economic context. It traces the many dilemmas its leaders faced as they searched for growth and responded to the relentless challenges of business. 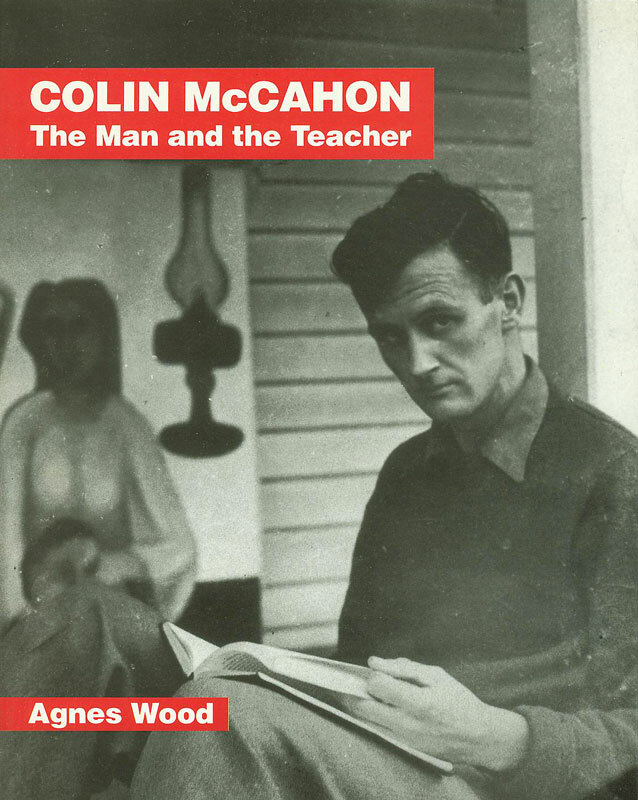 Compelling and revealing, the often hectic and sometimes poignant tale of the life and times of New Zealand’s foremost storyteller. 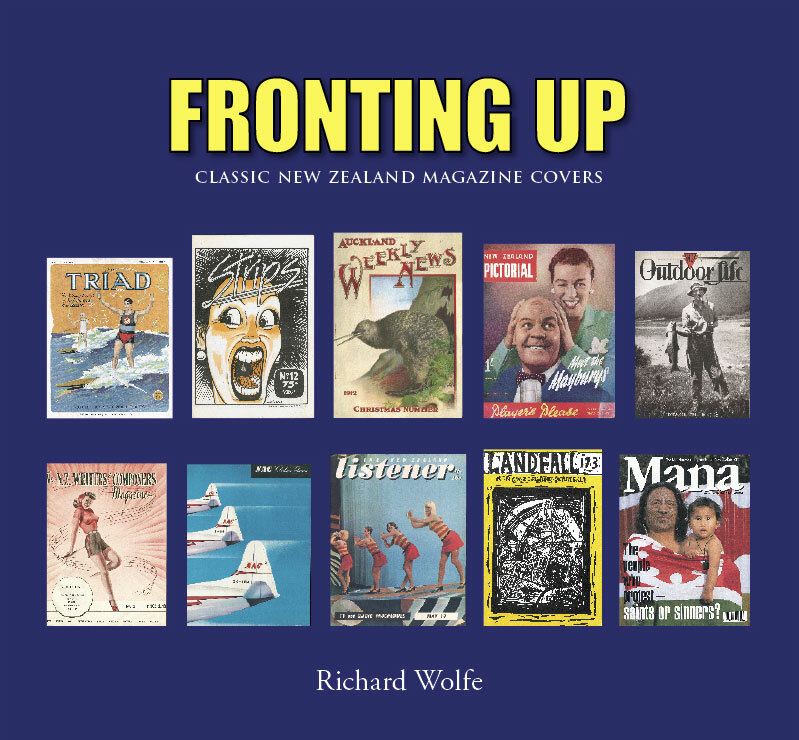 Fronting up is a rich, large-format sample of more than 100 classic magazine covers, all reproduced in full colour and all drawn from the extensive archives of the Auckland Museum Library. With every scrap aloft, carrying more sail than many larger keel yachts, and the crew driving her as fast as possible on the edge of control, no other yacht captures the attention quite like an 18-footer in full flight. This is as true today as it was 100 years ago. 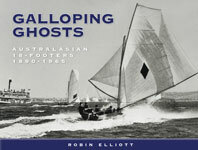 Galloping Ghosts is the history of the 18-footer as it has never been told before. 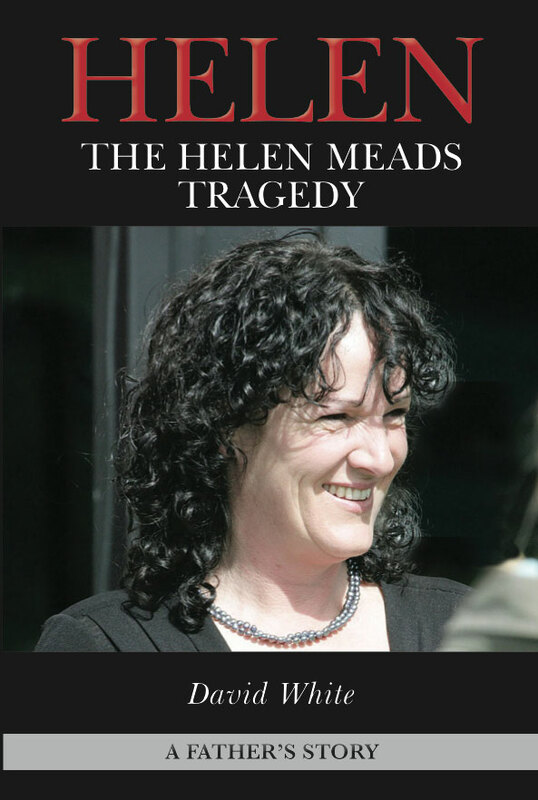 On the morning of 23 September 2009 Helen Meads was murdered by her husband Greg at the stables on their Matamata farm. It was the final chapter in years of control and abuse. Here, Helen's father David White describes the events of that day, and what led to it, and tells of the ordeals that a family is subjected to when one of their own is murdered. It is a poignant and compelling story. 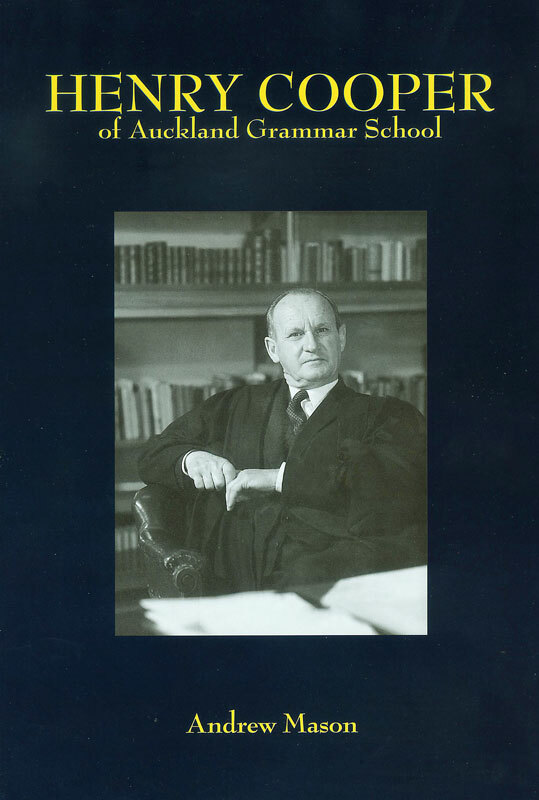 Sir Henry Cooper (1909–1990) is probably best remembered now as a dynamic and dedicated headmaster of Auckland Grammar School, which he raised to the pre-eminent position it occupies today. 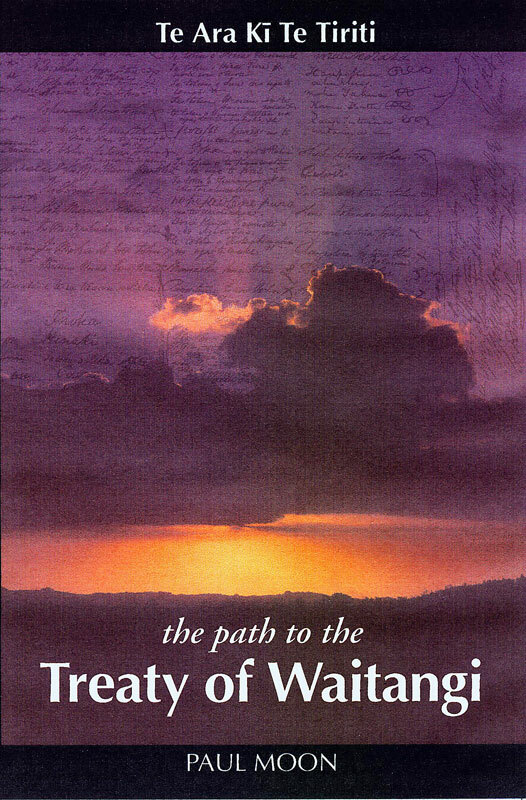 A captivating account of the life of Hone Heke, first to sign the Treaty of Waitangi, then feller of the flagpole who at one stage seemed to hold the future of the young colony in his hand. 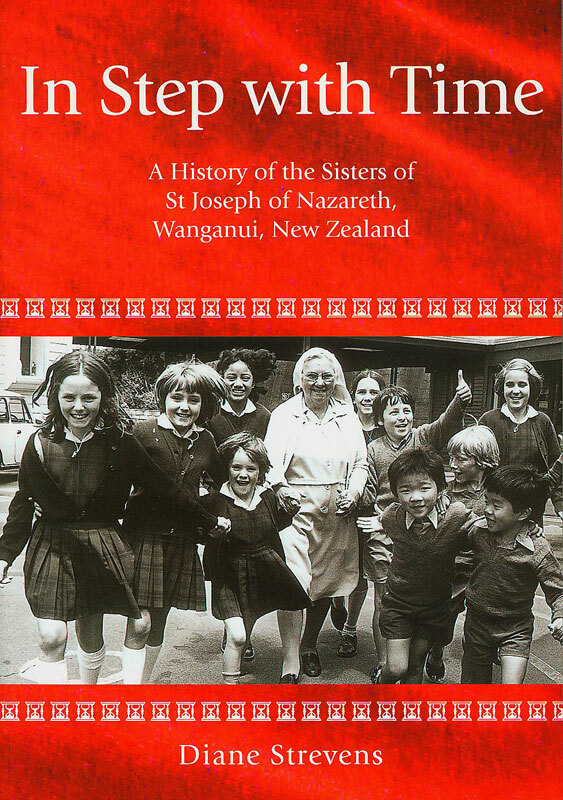 A history of the Sisters of St Joseph of Nazareth, Wanganui, New Zealand. 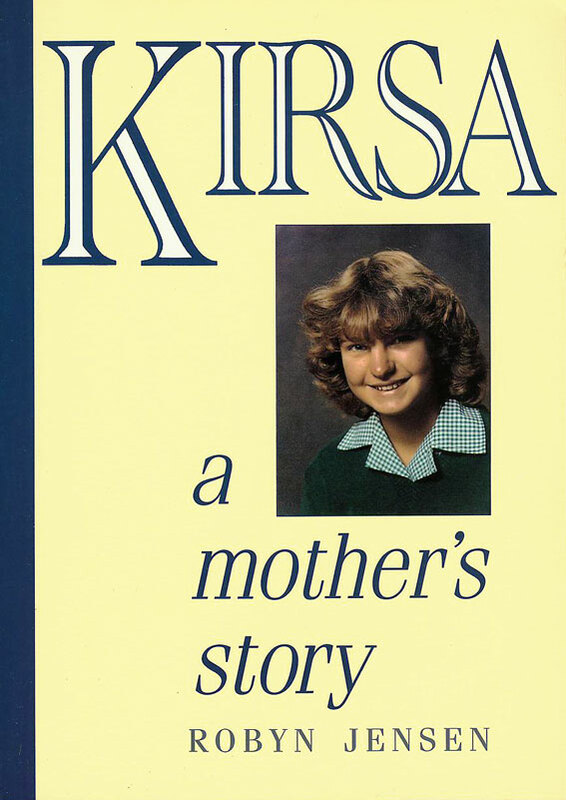 The compelling story of the life and disappearance, in 1993, of Napier schoolgirl Kirsa Jensen, and the aftermath. 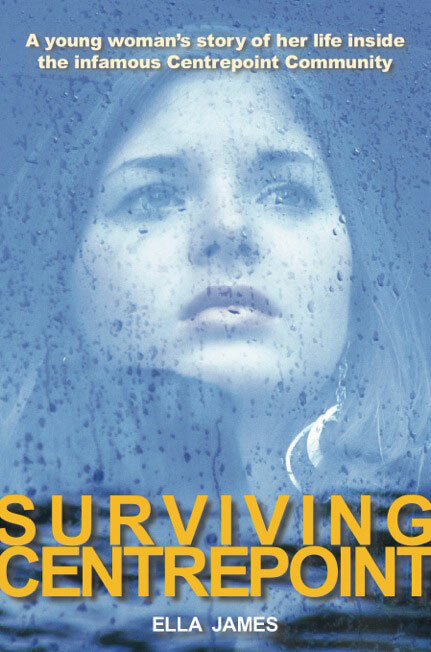 It is a remarkable and detailed account of how a mother faces the ultimate nightmare. 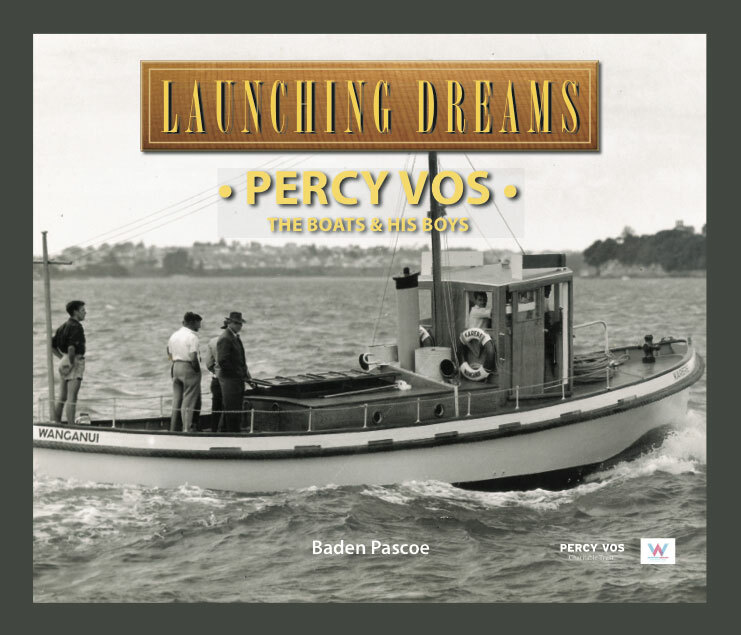 A sumptuous, large format pictorial and historical account of the life of businessman and boat builder Percy Vos, his boatyard at Westhaven, the boats he built and the people he worked with. Established in 1922 P.Vos Ltd built a wide range of boats from simple dinghies and runabouts to large luxury launches, yachts, fishing boats and the car ferry Korea. 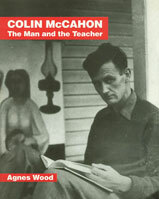 The astonishing life and literary career of New Zealand’s most well known and controversial author. 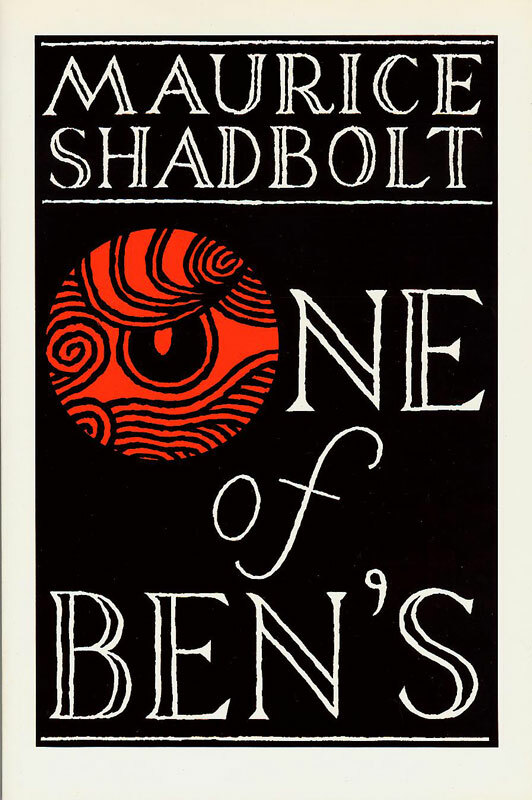 With unique access to archives, Shadbolt’s friends, colleagues and adversaries, Philip Temple also recounts Shadbolt’s complex personal life where, by the age of 40, he had been married twice, fathered five children and been involved in numerous affairs. 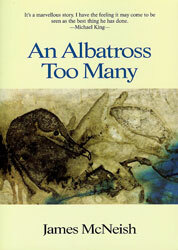 "Philip Temple zooms in and navigates with clear-eyed vigour and sensitivity. 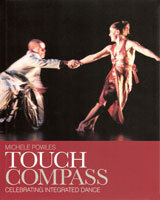 The presence of Maurice resonates convincingly. I like to think he might applaud - sometimes ruefully." Marilyn Duckworth. In 1883 three young Sisters of St Joseph of the Sacred Heart arrived in Temuka, South Canterbury, to teach in the parish school. 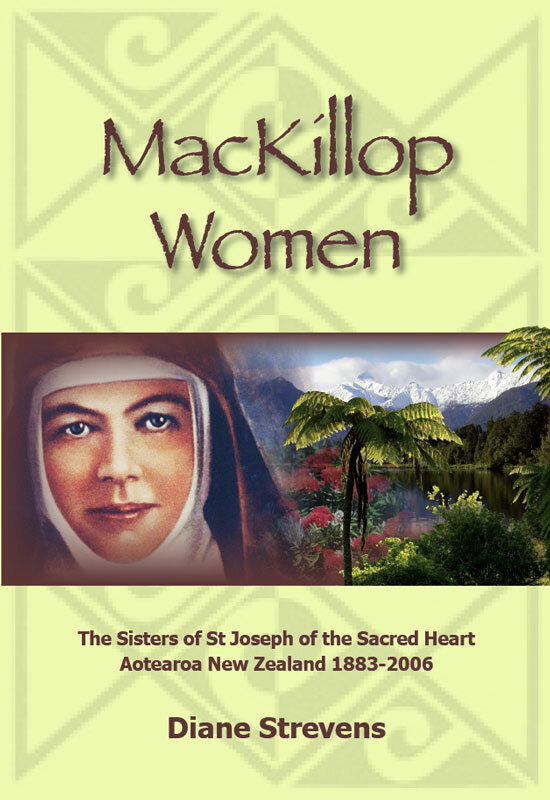 One hundred years later, the Sisters of St Joseph - affectionately known as the ‘Brown Joes’ - were teaching in Catholic primary and secondary schools from Panguru in the north to Balclutha in the south. This is their story. 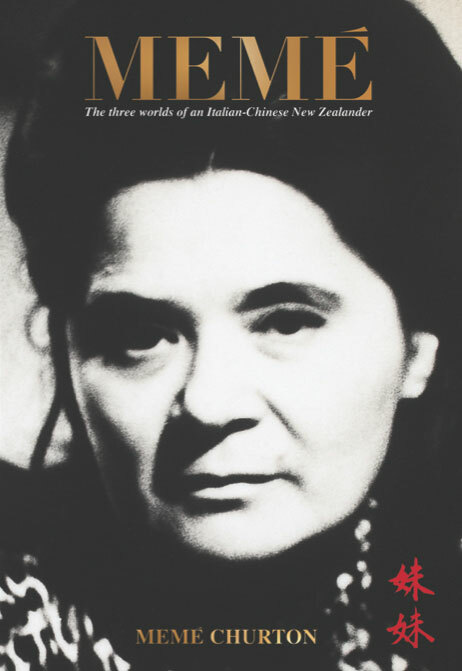 Memé is half-Italian and half-Chinese and this unusual combination has coloured her personality and the course of her life. 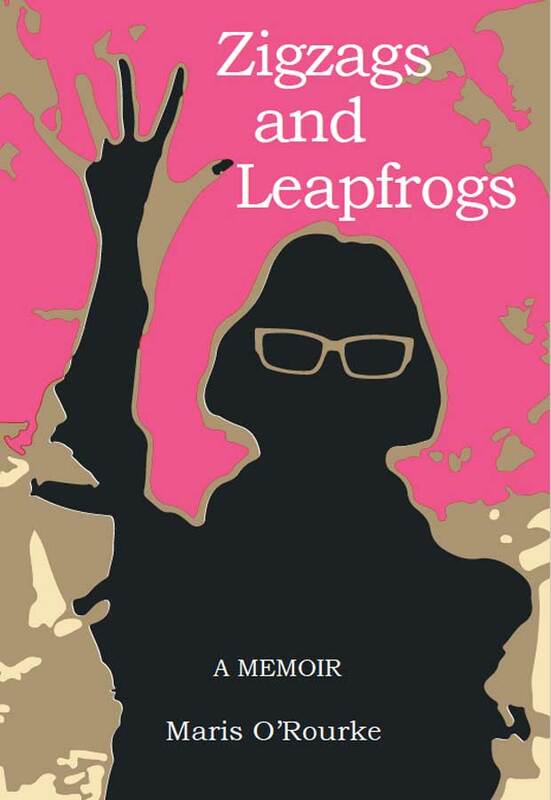 Her memoir is brilliantly written, vivid and fast-moving, and has a breath-taking reach and depth. With an unforgettable personality, Memé is a great storyteller with a wealth of absorbing stories to tell. 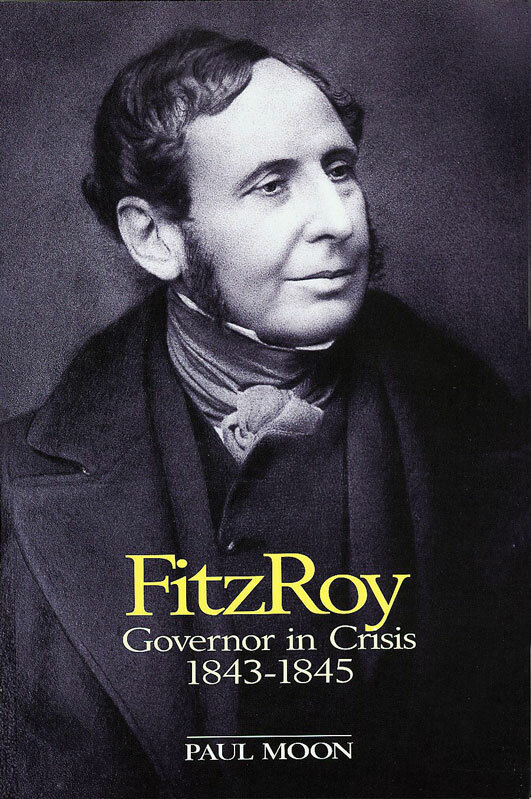 Collective biographies have been written for Britain’s and Australia’s Prime Ministers, and for America’s Presidents. Until now New Zealand has had no comparable overview. 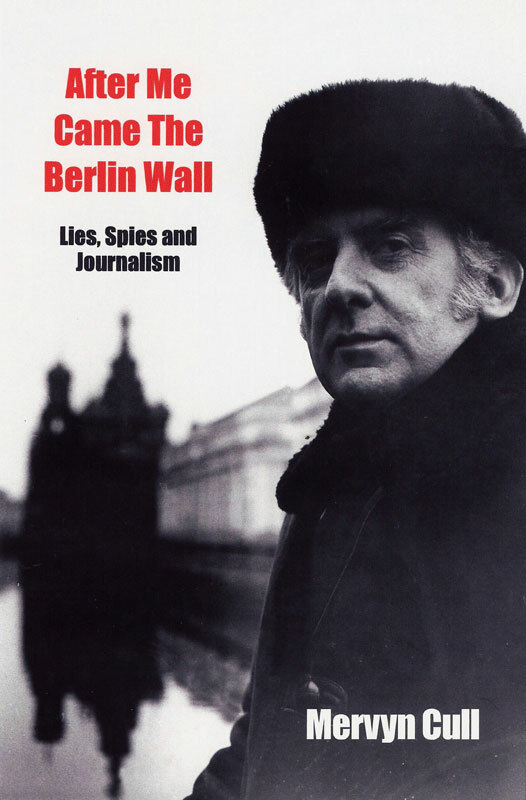 Based on extensive, careful archival research, interviews with recent Prime Ministers, many of their colleagues, and with their opponents, this major work is the product of decades of appreciative and insightful observation. 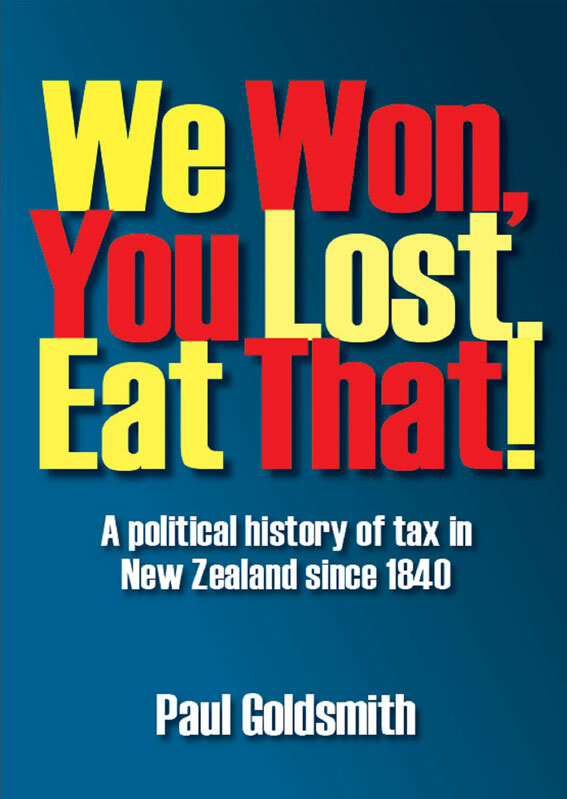 It is essential reading for anyone interested in New Zealand politics. 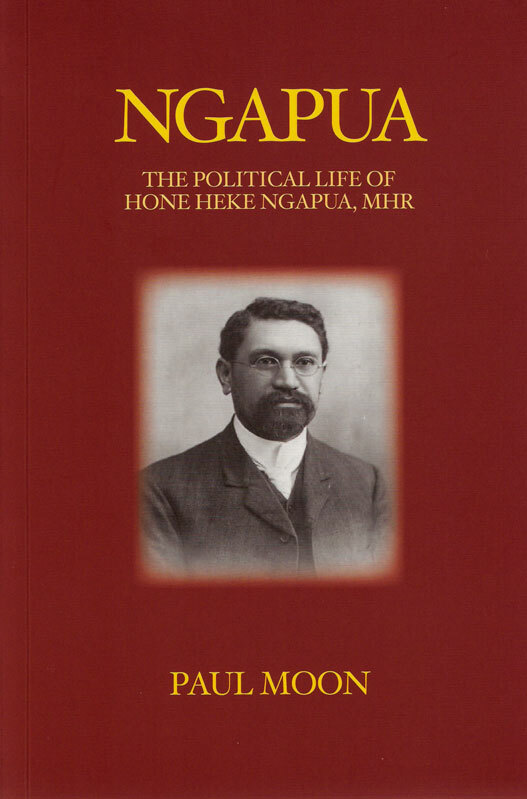 Hone Heke Ngapua (1869-1909) was one of the foremost Maori leaders of the past two centuries. He received enormous recognition as an MP, working alongside Carroll, Ngata, and Seddon, and emerged as the country’s first pan-tribal Maori leader. 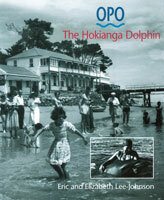 A best selection from Eric Lee-Johnson's unique photographic record of Opo and the Hokianga of the 1950s. 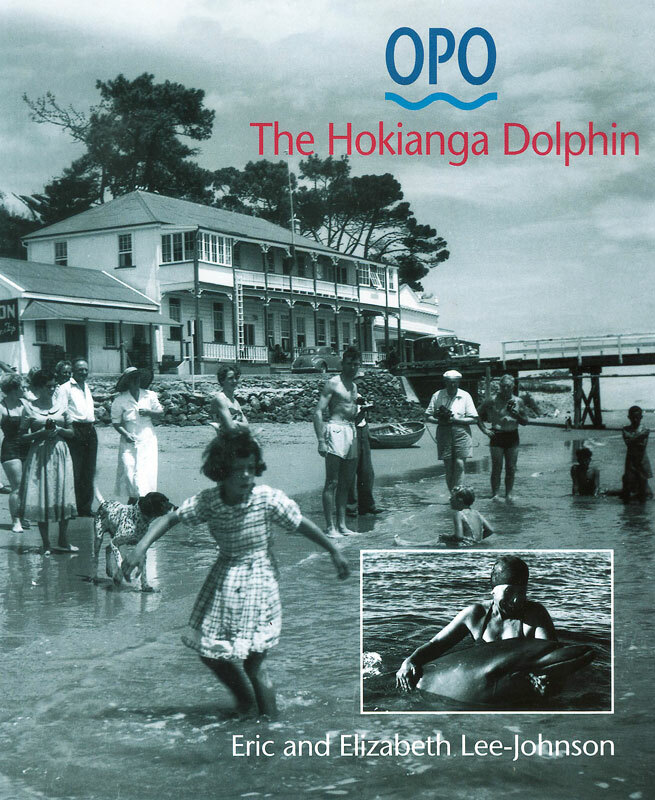 While living there he photographed Opo throughout the summer while she played to the crowds and swam among delighted children and adults. The resulting photo-essay captures the atmosphere and magic of the time. 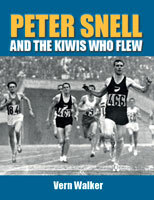 Published to mark the 50th anniversary of Peter Snell’s two gold medals at the Tokyo Olympics in October 1964. 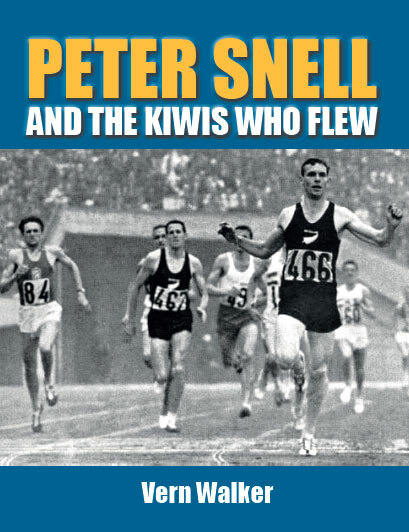 This was the great era (1956-1965) when New Zealand middle- and long-distance runners showed a clean pair of heels to the world . 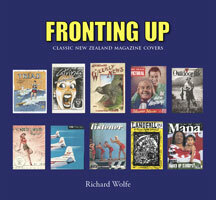 . . Peter Snell, Murray Halberg, Bill Baillie, Marise Chamberlain, John Davies, Jeff Julian, Barry Magee and Neville Scott. It was a decade when ‘black’ signalled a tough time for opponents everywhere. In 1904, Ann's grandparents, Adolph and Yetta Manoy, and their three daughters left Tukums in Latvia, then part of Imperial Russia, to settle in Stratford, New Zealand. 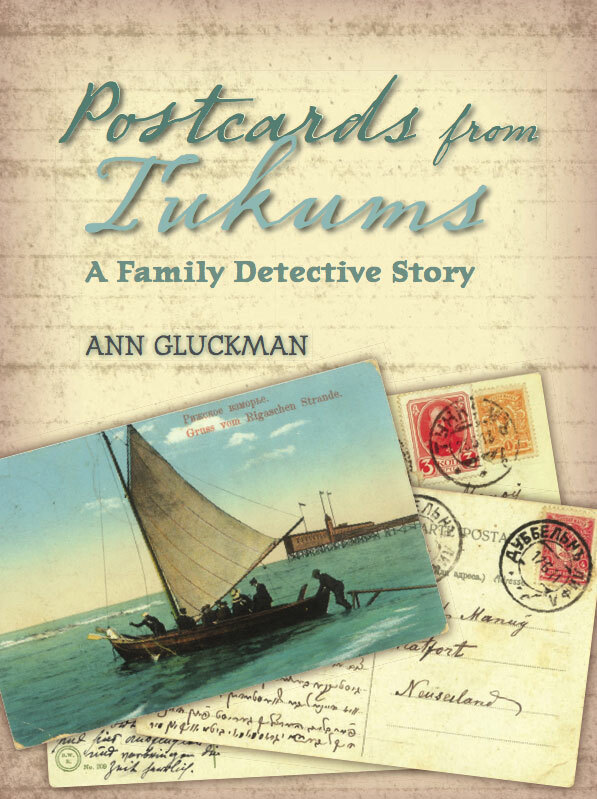 Their story is revealed by the discovery of a set of beautiful postcards, reproduced here, and letters originally mailed to the Manoys from their homeland. 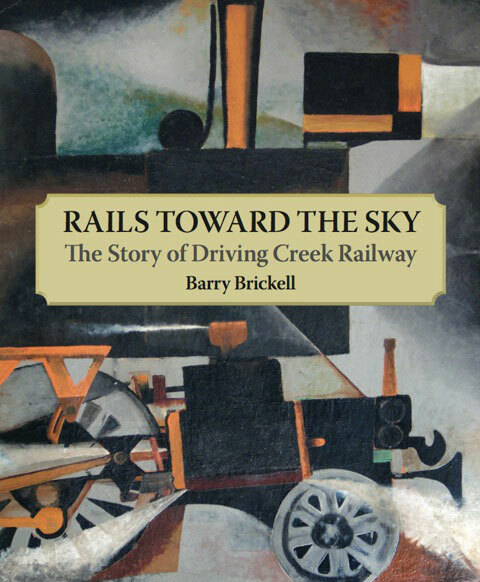 When Barry Brickell became New Zealand's first full-time craft potter he combined his passion for railways with his engineering skills to build a short line for bringing clay and firewood down from the hills to his Coromandel kilns. Driving Creek Railway is now a major tourist attraction carrying thousands of passengers a year. 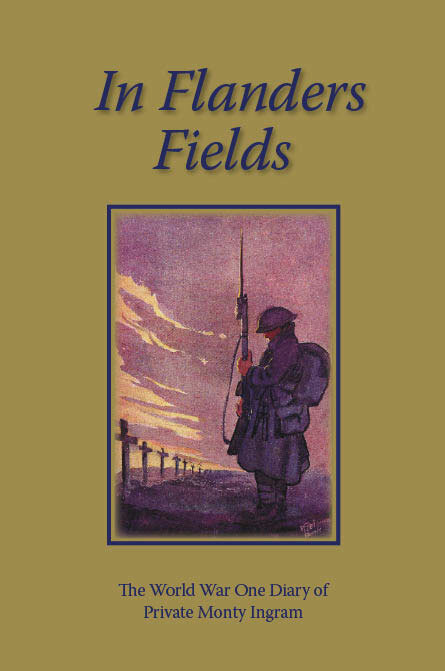 This fascinating and beautifully illustrated book he tells us how he managed it. This is the first complete account of Campbell’s life in his own words. 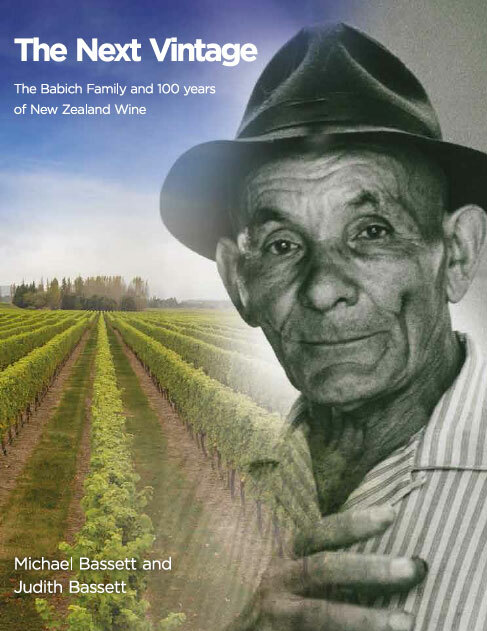 It covers his early years in Scotland, his pioneering lifestyle in New Zealand, his business success, his extensive overseas travel and then his return to live in Auckland, gifting Cornwall Park to the city. 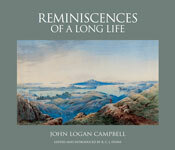 Published to celebrate the 200th anniversary of his birth, the book contains over 300 paintings, engravings and photographs documenting his life and includes rare works from The Cornwall Park Trust, Auckland Museum, Auckland Libraries and the Auckland Art Gallery. 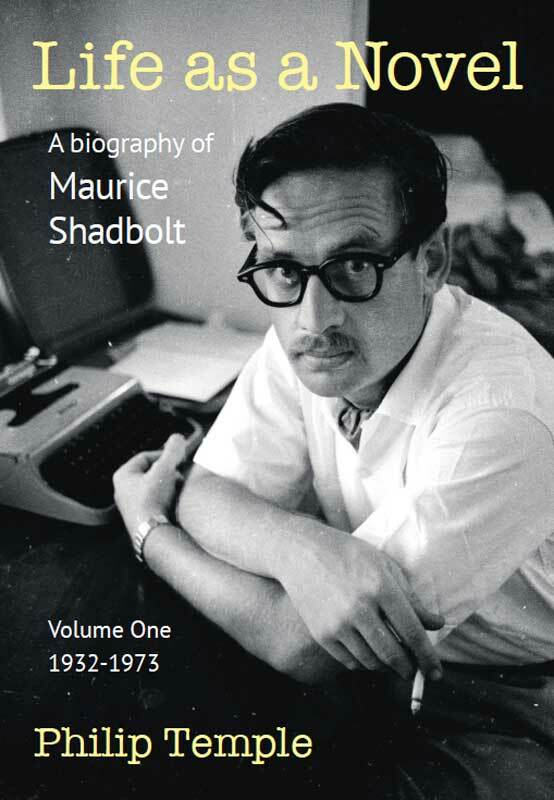 This is a remarkable and entertaining record of a remarkable life. 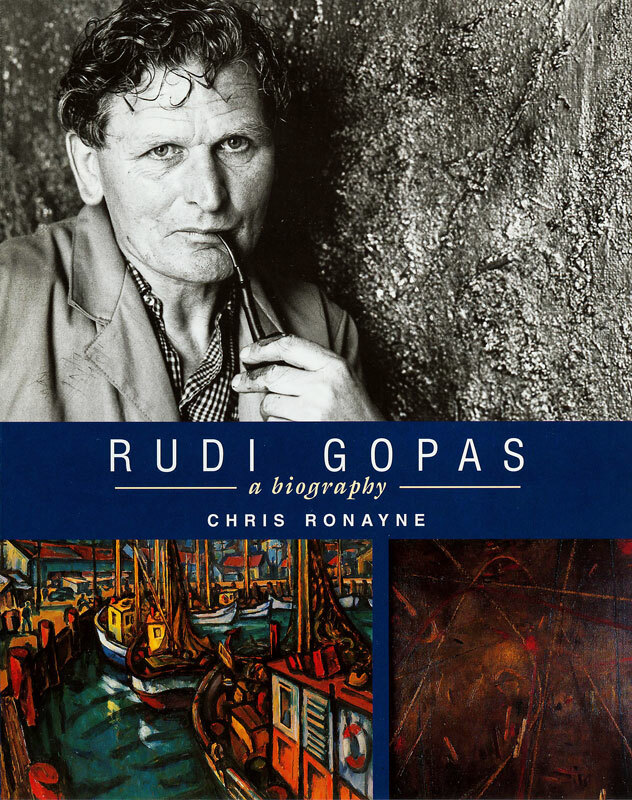 A detailed and highly readable biography of this renowned New Zealand artist and art teacher. 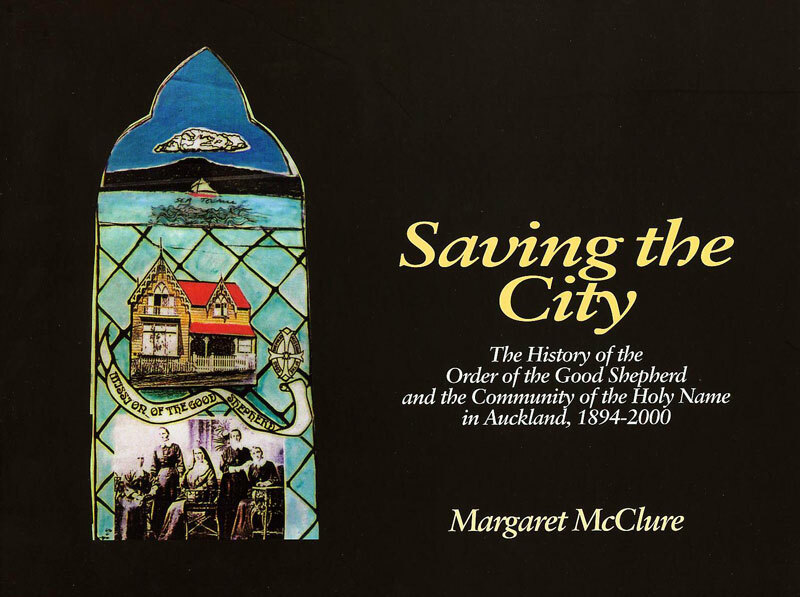 The History of the Order of the Good Shepherd and the Community of the Holy Name in Auckland, 1894-2000. 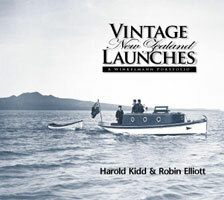 Published to mark the 175th anniversary of the founding of Auckland. 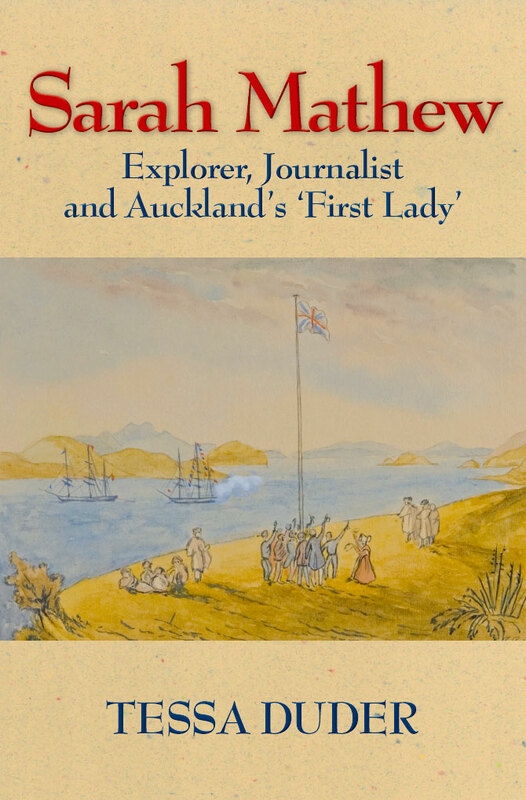 After helping find a harbour suitable for Governor Hobson's first capital, on 18 September 1840, Sarah was the only woman ashore for the flag-raising ceremony and regatta celebrating the birth of Auckland. 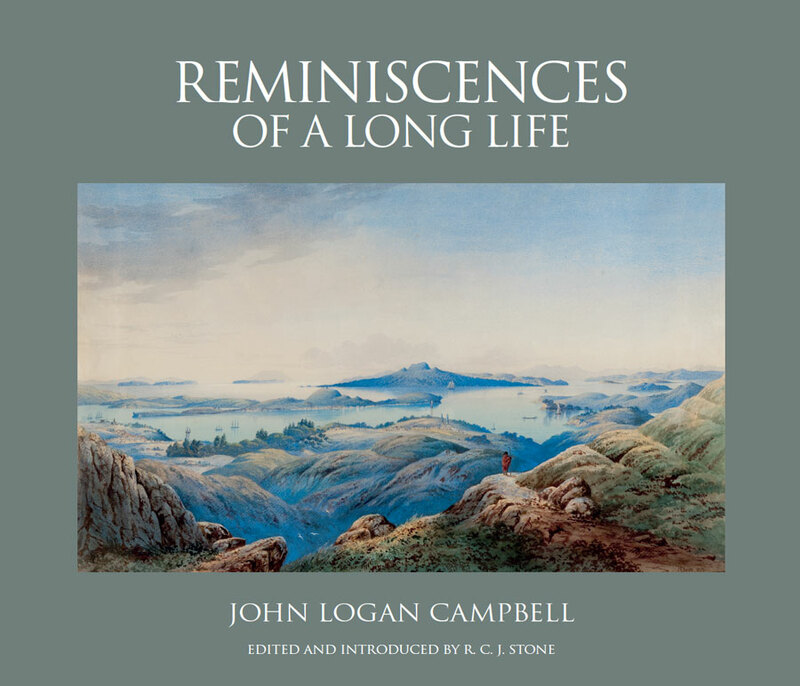 Her surviving journals and letters brilliantly cover long voyages under sail, including several around Cape Horn, as well as Auckland's birth, and the personalities and politics of its early capital years. 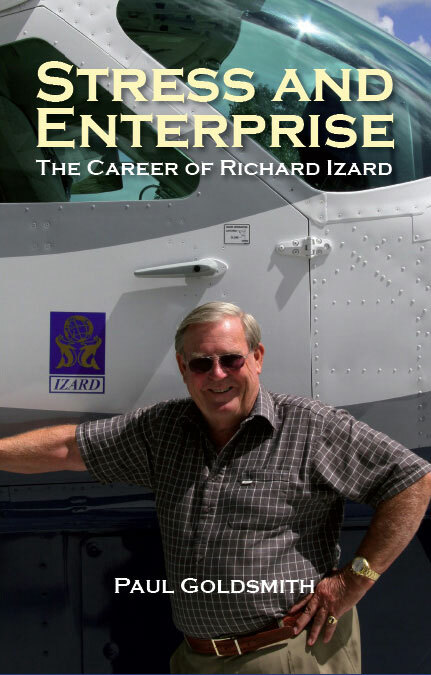 Izard’s career did not follow text-book pathways of thrift and steady progress. There were long periods of drift, depression and desperation but when high spirits seized Richard Izard, he was unstoppable. 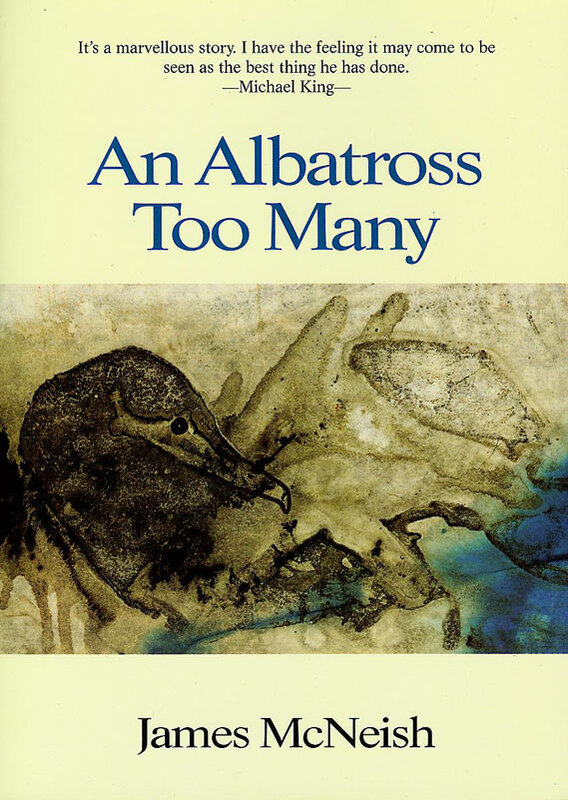 Journalist, author, and broadcaster Ian Cross has made many splashes in New Zealand’s small pond and in this rich and rewarding memoir he reveals much of his life that would easily elude any would-be biographer. Shortly before she turned 13, the author’s life changed forever when her family moved to the Centrepoint Community on Auckland’s North Shore. During her four years there the author was pressured and manipulated into inappropriate and at times frightening situations by many of its adult members including its counsellors. 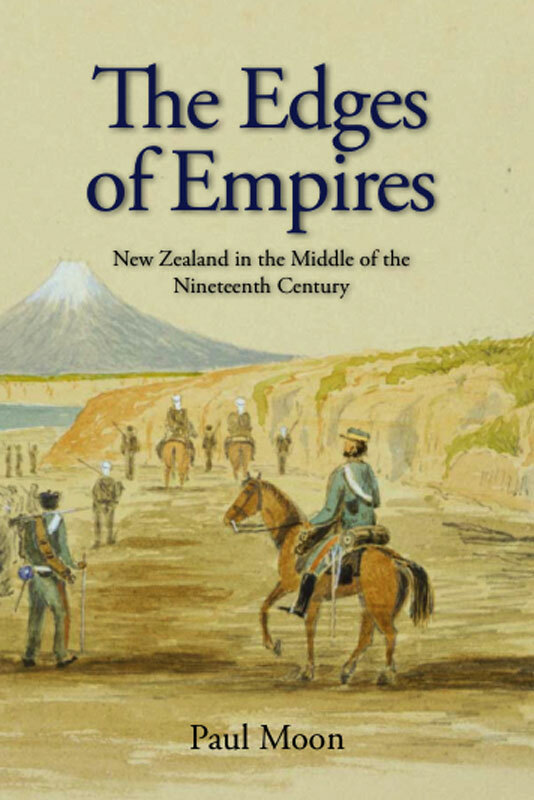 "Moon’s book … prises open the complex arrangement of competing interests, challenges and pressures on both Maori and … quite literally on the edge of two great empires." A rare insight into this complex family of Scottish origin, its brilliant individuals and to the times when they were turning out the very best yachts and launches in the Southern hemisphere. 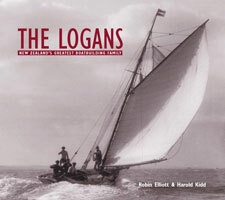 Details of every known Logan vessel. 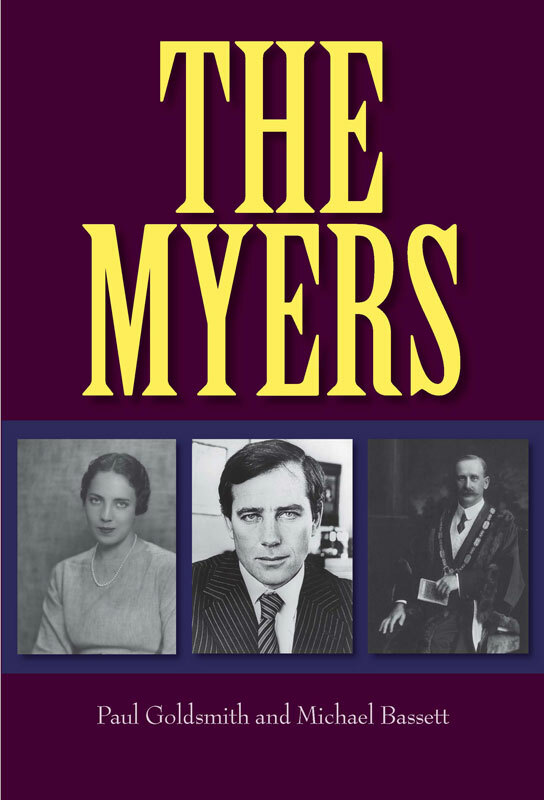 The Myers is a sweeping study of four generations of the Myers family. It moves from Prussian Poland to the goldfields of Ballarat to bankruptcy in the South Island and then to a growing fortune in beer and liquor. 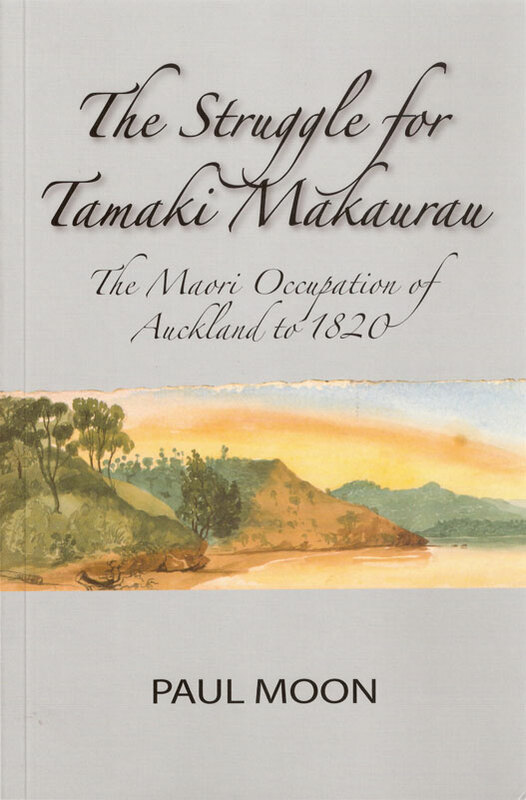 Presents compelling evidence that the British Crown did not intend to rule Maori, and that Maori never consented to be ruled by the British Crown. Maori Auckland is synonymous with Ngati Whatua, or so it seems. However, there is a much longer and far more contentious history of the area which challenges this assumption, and raises the possibility of several other tribes staking a claim for dominion over Auckland. 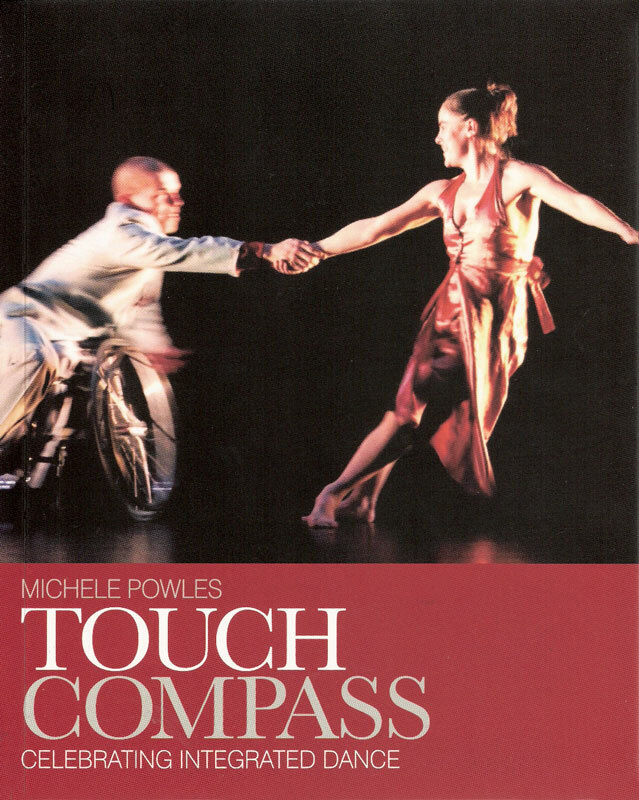 Touch Compass is an exceptional dance company and this beautifully illustrated book celebrates and chronicles the first decade of the company's achievements. 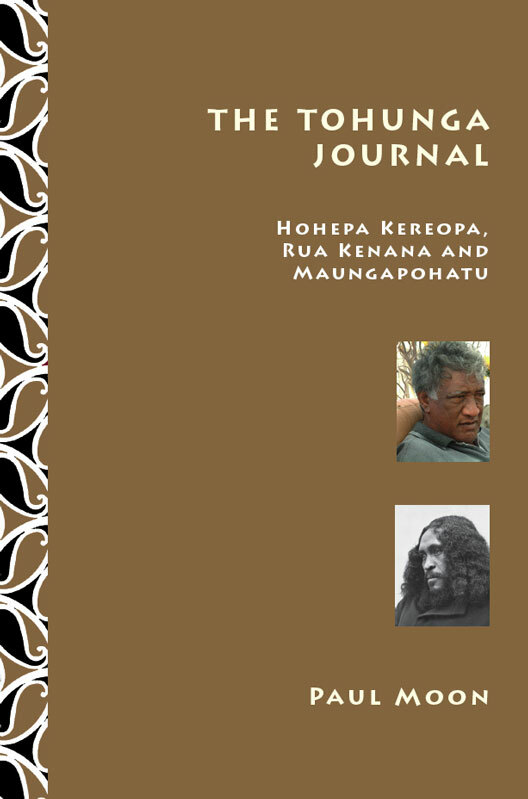 The final work in the trilogy dealing with the great Tuhoe tohunga Hohepa Kereopa. 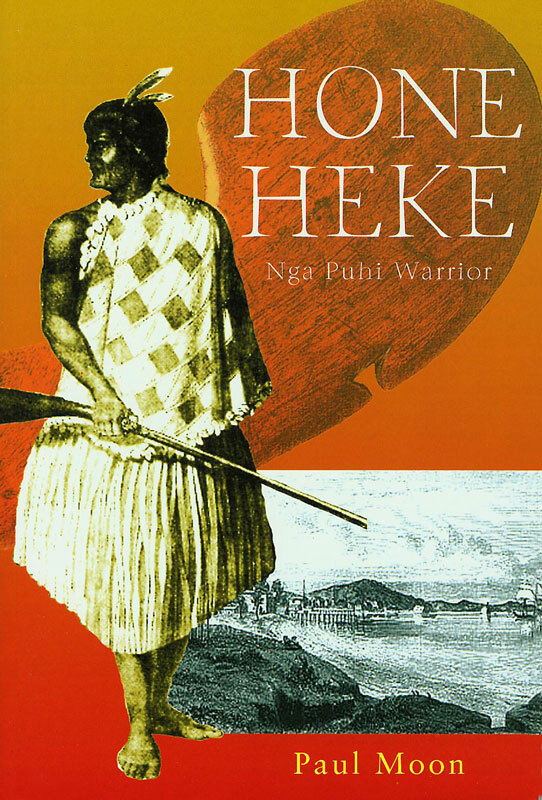 A powerful, moving work, evoking the majesty of the Ureweras, delving into the metaphysical realm of one of Maoridom’s most renowned tohunga, and traversing a remarkable period of New Zealand history. 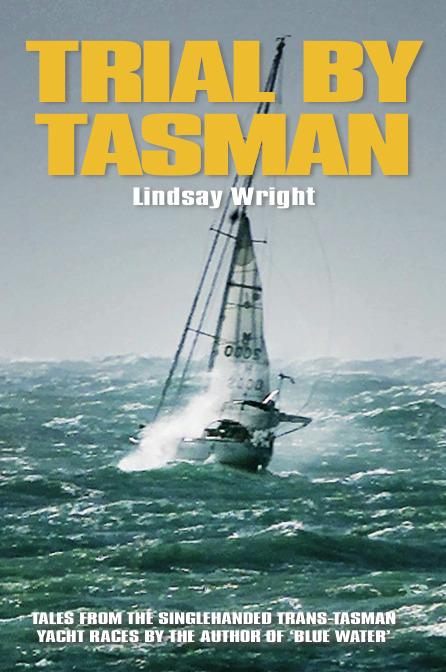 Trial by Tasman is the history of the singlehanded trans-Tasman yacht races that have been held every few years since 1970. 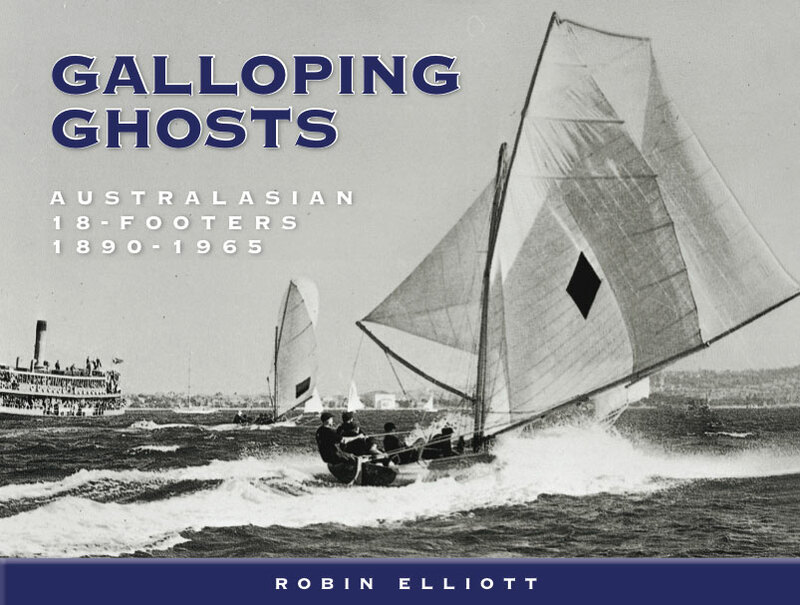 Sailing from New Plymouth to Mooloolaba near Brisbane it has spawned a rich harvest of great stories from the athletes, eccentrics, daredevils, sportspeople and visionaries who have competed. The races have been both exhilarating and terrifying. There have been a number of dramatic rescues, a stranding on Middleton Reef and several boats have been lost. 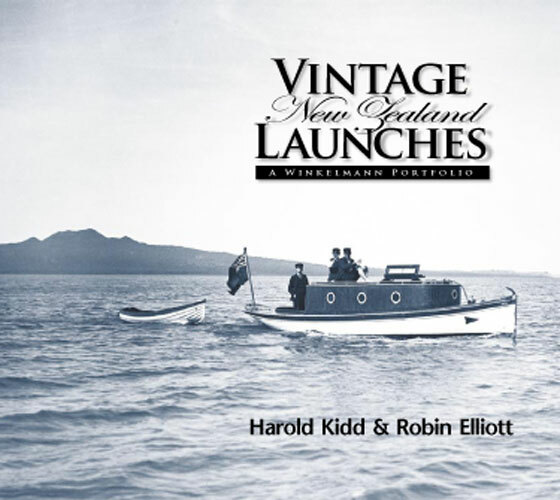 This is a stunning collection of photographs of early powerboats and launches taken from the mid 1890s to the late 1920s by renowned maritime photographer Henry Winkelmann. All capture the essence of the boat, the place and the time. 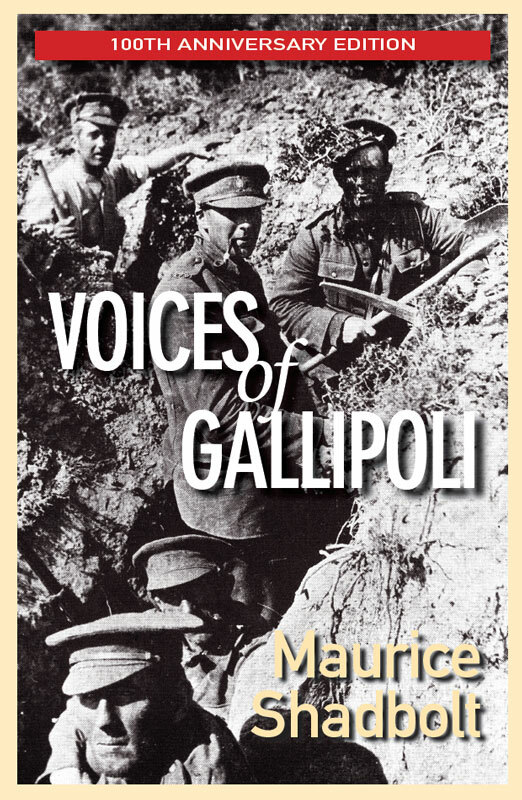 A new edition to mark the 100th anniversary of the Gallipoli campaign. 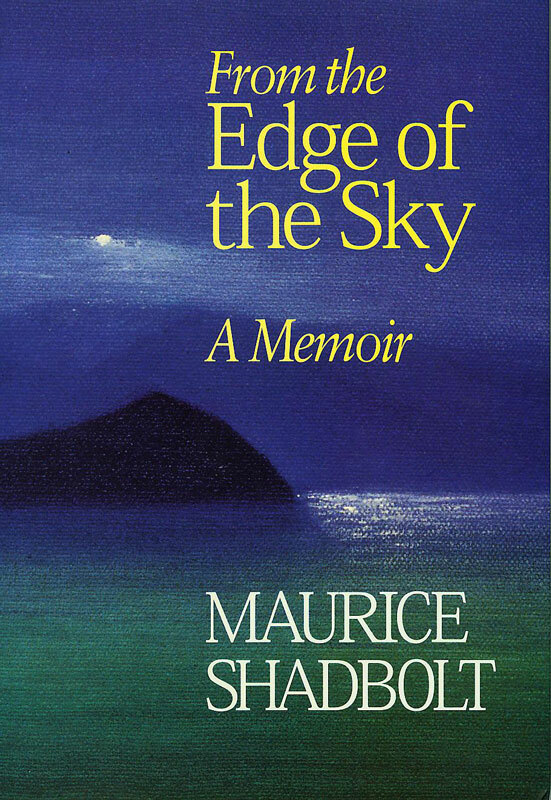 In the 1980s Maurice Shadbolt talked to many of the small and diminishing band of veterans with vivid memories of the long, futile and ferocious battles that took so many New Zealand lives. 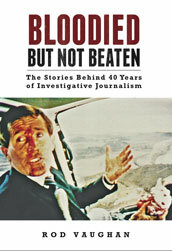 Shadbolt tells their stories with skill and lucidly backgrounds the campaign they survived. 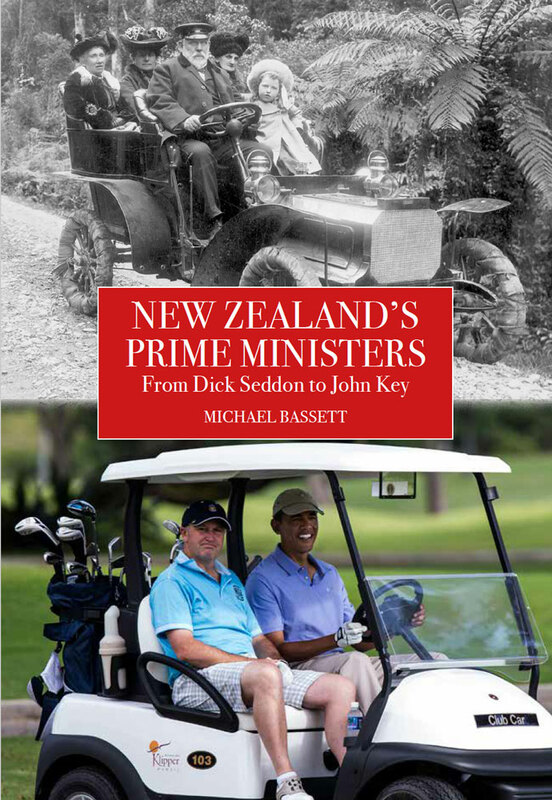 It is a remarkable document: the distilled memories of a dozen old men who innocently set out to do battle as loyal sons of the British Empire and returned home betrayed, embittered and disillusioned - and New Zealanders. 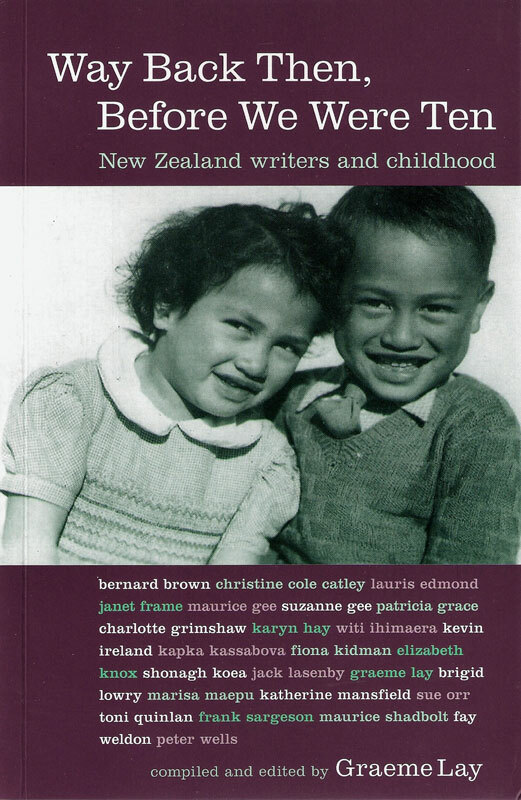 In this wonderful collection of stories and memoir from childhood twenty-six distinguished New Zealand writers evoke memories of their early years. There are wondrous discoveries of the natural and cultural world and glimpses into the enigmatic realm that is adulthood. We Won, You Lost. Eat That! As politicians struggle with the temptations that the power of taxation dangles before them and taxpayers respond to frequent changes in methods and levels of taxation, the battles have been fiercely fought. 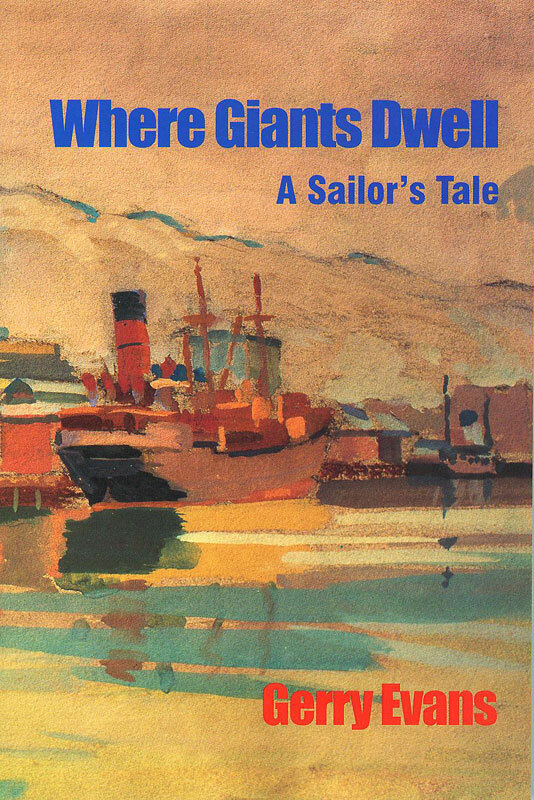 A story about ships and the men who work them, about gales, strikes, lockouts, fist fights and murder. 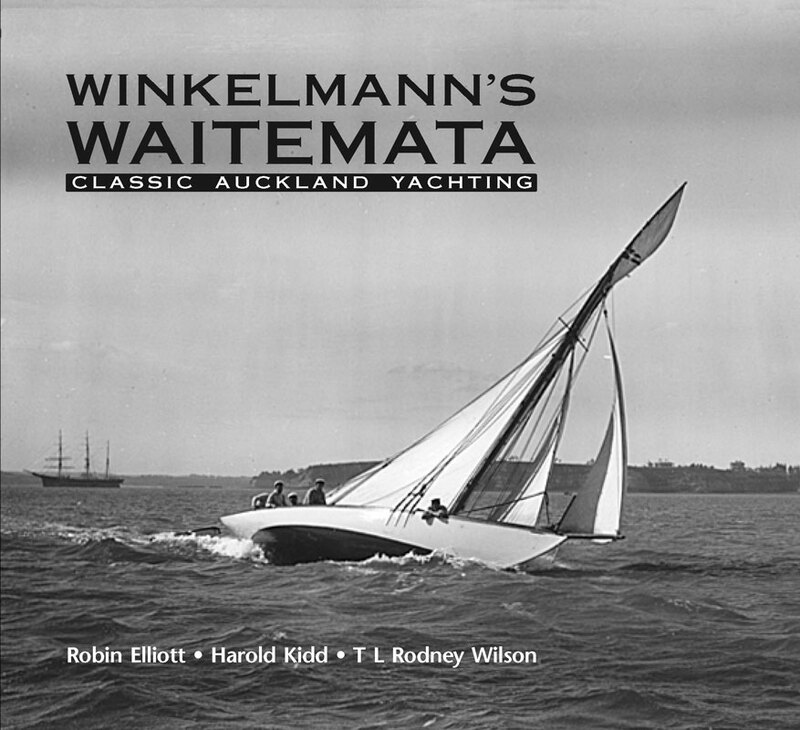 Personal and sometimes humorous account of life at sea and in New Zealand’s toughest unions. Henry Winkelmann is probably the greatest marine photographer this country has known, and here a broad selection of his classic yachting images has been put together in a single volume. 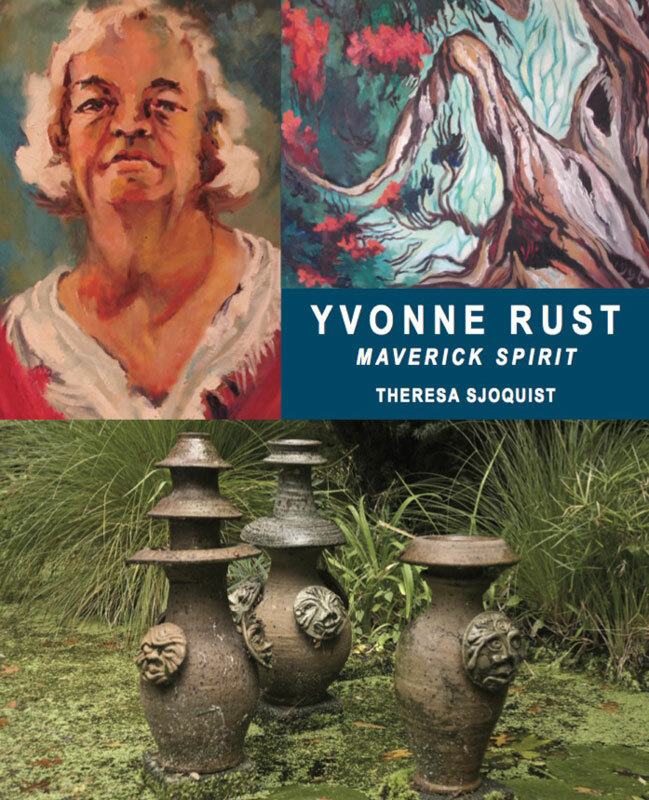 Yvonne Rust: Maverick Spirit is the fascinating, richly illustrated biography of Northland's iconic artist, pioneer potter, and inspired arts educator, Yvonne Rust, QSM. Yvonne grew up during the Depression years as the only white child in Te Hapua, in the Far North. Born on a small island in Scotland to a local girl and an Australian serviceman, raised in a working class, dysfunctional, often violent, itinerant household around the UK and Europe, O’Rourke rose to become the Secretary for Education for New Zealand, the Director of Education at the World Bank, an International Education Consultant and an author of six books. It’s a remarkable story.